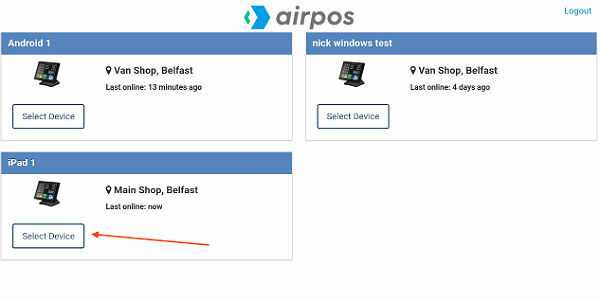 Getting setup with the AirPOS ePOS is easy. 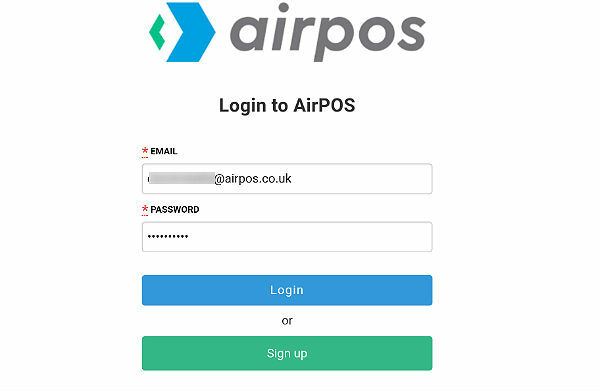 Once you have downloaded the AirPOS application, double click the AirPOS icon and the following screen will appear. 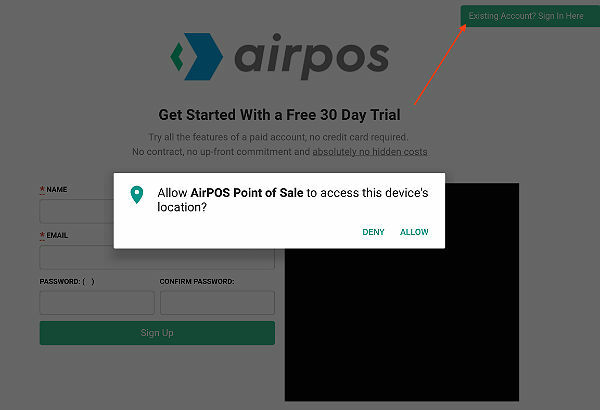 Allow access to this device's location and click on the top right button if you have an existing account. NB: When setting up ensure your tablet is plugged in to charge to avoid ‘Sleep Mode’ during setup. Enter your email and password. Click or tap on the ‘Login' button. A screen similar to that below will appear. Here you can select a new device or an existing device to setup. 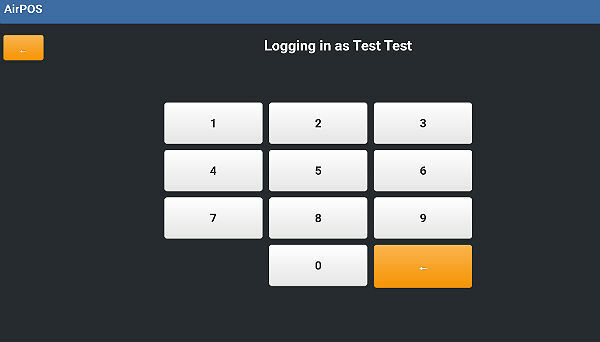 Once setup has completed you'll see the employee login screen as shown below.